The heather-covered hills and the breathtaking Highlands, the haunting cry of the bagpipes and ancient poetry … Scotland is well known as one of the most romantic places on earth. And WeeBox brings that magic a wee bit closer to you this month! Scotland’s romance has stemmed from our ancient poets and writers. Follow in their footsteps with this genuine Waverley ‘Romance tartan’ notebook and pen by Gresham Publishing, a traditional, independent Scottish book company. 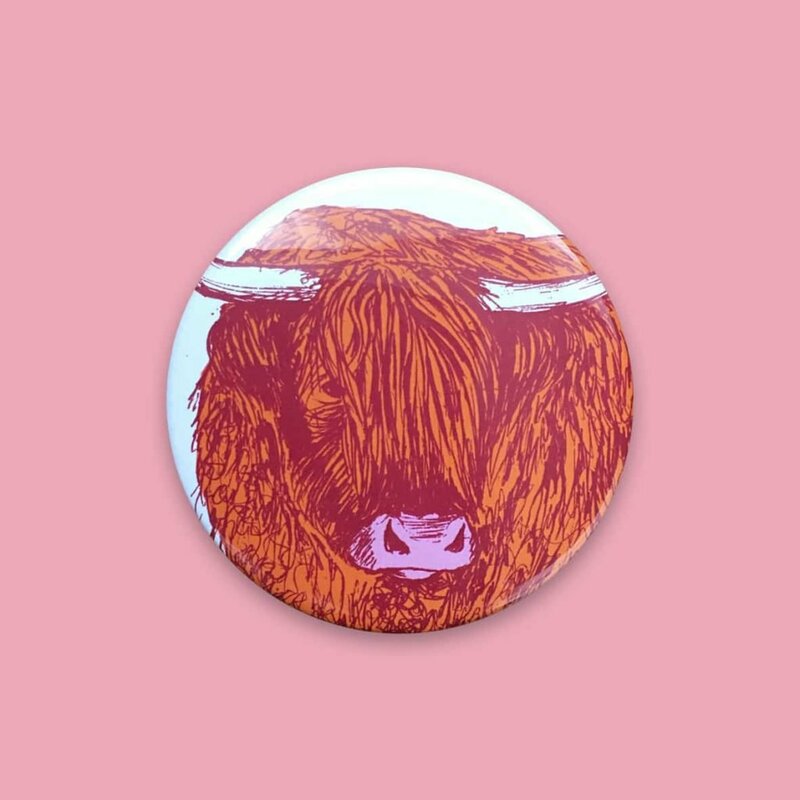 Look bonnie with this stunning Heilan Coo pocket mirror by quirky, Scottish designer Cherith Harrison! We loved meeting Cherith, a true artist with a real passion for animals. When she was 7, she rescued an injured wild baby rabbit and ever since has been fascinated by the animals and wildlife that surround us in the countryside. She successfully captures the sense of tranquillity in our wildlife and hopes that this wee coo mirror gives you a little piece of Scotland wherever you go. 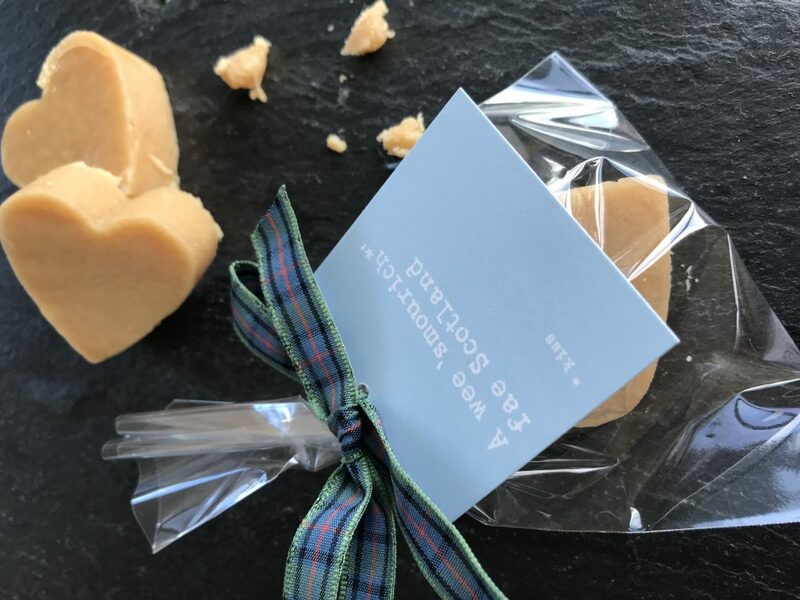 We’ve even sent you a wee ‘kiss’ or ‘smourich’ fae Scotland with the help of award-winning confectioner Sixpenny Blue, tied with the Flower of Scotland tartan! We are only sorry we couldn’t include one of the MOST romantic things about Scotland …. our men in kilts! Devilishly delicious, melt in the mouth Scottish tablet, is a type of sweet crumbly fudge, but better, even if we do say so ourselves! Lindsay from Sixpenny Blue cuts your tablet in these bonnie wee heart shapes which are just perfect for the month of love. Finally, based on the Mary Queen of Scots wild rose, bring the scent of Scotland closer with this bonnie, red rose scented diffuser from the oldest producer of lifestyle candles in Scotland, Shearer Candles! Delicate and romantic rose petals with sandalwood, the aroma is perfect to salute the month of love.